And Now a Word from Ralph Waldo Emerson . . .
Now society in towns is infested by persons who, seeing that the sentiments please, counterfeit the expression of them. These we call sentimentalists,—talkers who mistake the description for the thing, saying for having. They have, they tell you, an intense love of nature; poetry,—O, they adore poetry, and roses, and the moon, and the cavalry regiment, and the governor; they love liberty, “dear liberty!” they worship virtue, “dear virtue!” Yes, they adopt whatever merit is in good repute, and almost make it hateful with their praise. The warmer their expressions, the colder we feel; we shiver with cold. A little experience acquaints us with the unconvertibility of the sentimentalist, the soul that is lost by mimicking soul. Cure the drunkard, heal the insane, mollify the homicide, civilize the Pawnee, but what lessons can be devised for the debauchee of sentiment? Was ever one converted? The innocence and ignorance of the patient is the first difficulty: he believes his disease is blooming health. A rough realist, or a phalanx of realists, would be prescribed; but that is like proposing to mend your bad road with diamonds. Then poverty, famine, war, imprisonment, might be tried. Another cure would be to fight fire with fire, to match a sentimentalist with a sentimentalist. I think each might begin to suspect that something was wrong. What grabbed my attention in this passage of Emerson’s essay, Social Aims, is the line, “talkers who mistake the description for the thing, saying for having.” Emerson called these people sentimentalists—people who “adopt whatever merit is in good repute.” For my purposes, it helps me to describe Christians who mistake their faith profession for the thing itself. Unfortunately, modern Christian spirituality is such that if it expects anything to happen at all it expects it to happen instantly with little to no effort. Because of this, we frequently allow ourselves to be satisfied with our faith profession. That is, instead of pressing through until we receive an answer, we simply say, “Well, by faith I receive the answer,” and we walk away from the place of prayer unchanged. This . . . taps into our repulsion against anything that makes us feel inadequate or lacking in any way. We bristle against the idea that we are lacking in anything. Rather than allowing the pain of spiritual lack to drive us to prayer, instead we walk away with only our faith profession. Now don’t get me wrong! I am not suggesting that we should not walk by faith. Nor am I suggesting that every time we go to prayer we leave the secret place having experienced every possible experience. But we must remember that, in prayer, we genuinely come into contact with the Living Lord! Prayer is not therapy or emotional catharsis. It is real and will have real results! Pray until you experience real results! 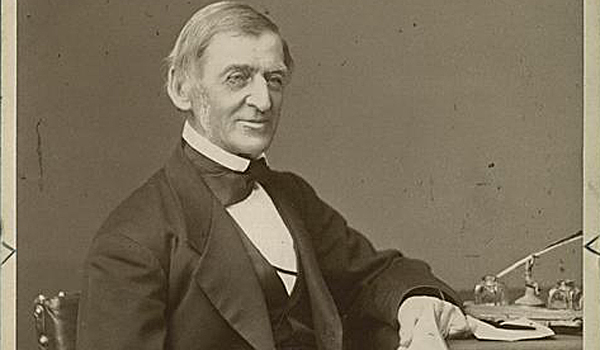 Ralph Waldo Emerson, Letters and Social Aims, (Boston: James R. Osgood and Company, 1876), 94-95. Adapted from, C. Scott Fowler, Contending for the Habit of Daily Prayer, (Smithtown, NY: Issachar Imprints, 2016), 112.